Sonja described one of the most moving moments of her life as she looked upon the faces and into the eyes of numerous children in cribs at an orphanage in China, the orphanage where a little girl (soon-to-be daughter) was being cared for during the first several months of her life. She was taken back with emotion, realizing that that these little faces were growing up without the love and safety that a family provides. 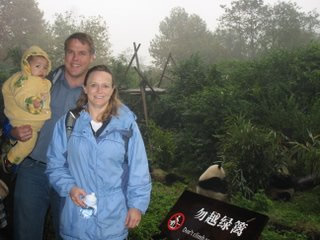 That was Sonja’s first trip to China, when Chris and Sonja’s daughter, Jaden, would become part of their family forever. Sonja knew that she would want Jaden to have a sibling from China, someone that she could relate to. Within 18 months they began the adoption process for the second time. As Sonja and her husband worked to complete all the paperwork and questionnaires that come along with entering into adoption process, Sonja felt compelled to look into the possibility of adopting a “special needs” child. Families choosing this option are asked to select what sort of “special needs” they would be willing to consider adopting a child with. As they were making their selections, they came across the option of checking the box that read “Partial hearing loss. Example: deaf in one ear.” This box was one of the many that they felt led to select that day. Within two weeks of sending the questionnaire back into their adoption agency, they received a photo and biography of a young boy with bilateral atresia and microtia. The letter explained that the workers in the orphanage thought Jack had some degree of hearing, explaining why he was categorized as “partial hearing loss.” Chris and Sonja were not familiar with atresia and microtia and immediately began the Internet search to find out exactly what these terms meant. Living close to Sacramento, CA, Sonja had never encountered anyone with atresia and microtia. She did know a mom of one of her daughter’s friends who was born deaf. In a casual run-in with this woman, Sonja chose to bring up in their conversation the little boy in China and his hearing impairment. She was very willing to share her story and help Sonja understand more about the impact of hearing loss. She spoke about the impact medical technology have had on her life, which in her case had been cochlear implant surgically placed by Dr. Roberson himself. Little things like this along the way provided Chris and Sonja with encouragement to take the step of faith and pursue making this little boy with atresia part of their family forever. 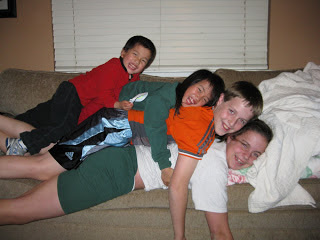 Jack’s “gotcha day” was November 20, 2006, just a short 9 months from start to completion of the process. Those familiar with international adoption can appreciate how incredibly quick Jack’s adoption process was. The reality: few people are willing to adopt a child that has been labeled as “special needs.” This coupled with the need for increased care and attention that comes with certain conditions can burden care providers in centers caring for orphaned children, places that are almost always overstretched and under resourced to begin with. In many countries, special needs children who have the opportunity to be cared for in orphanages are the fortunate ones, as tragically many are abandoned and left as a victim of their disability. Sonja believes her son received the best care his environment allowed for in his first two years of life in the orphanage. At the time of his adoption though, he was undoubtedly malnourished, developmentally under-stimulated and his atresia and microtia had not been addressed. Sonja reflects back on how hard communication was during those early months. Living nearly in silence his entire life, Jack had no concept that he could get the attention of others by means other than crying. It was within three weeks of their return from China, that the staff at the California Ear Institute (CEI) was introduced to Jack for the first time. During his first visit, audiological tests were performed to determine the function of the cochlea and hearing nerve, a key component to helping determining whether or not Jack would be a candidate for surgery. 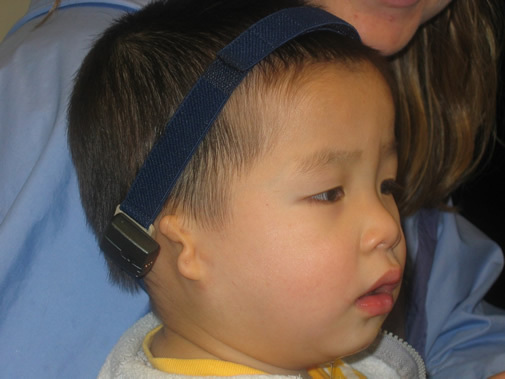 “They performed a bone conduction hearing test on Jack. He sat in my lap in a little booth with a device attached to his head that vibrated sounds on his skull. He turned immediately when the first sound was made and I nearly cried. I don’t consider myself to usually be a very emotional person, but God has answered some prayers and it touched my heart to see Jack hear so clearly,” Sonja wrote about that day. 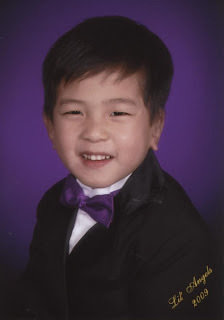 Shortly after his first visit at CEI, Jack was fitted with a soft band BAHA device and intensive speech therapy was arranged in the home and at the preschool Jack would attend, all services provided by the school district’s early intervention program. 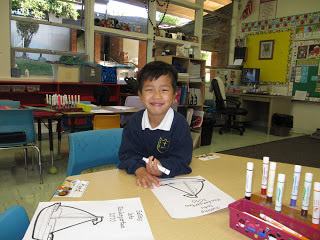 Sonja had made early connections with their local school, even prior to Jack’s arrival, that allowed for therapy to begin soon after his arrival to the US. A tremendous amount of progress was made in the initial weeks of using a BAHA, as his receptive language, understanding and vocabulary rapidly began to develop. It was February of 2007 when Dr. Roberson was able to deliver the good news that Jack’s CT scan revealed he was a candidate for canal surgery. As Jack continued to adjust to his new home and school, working with speech and language pathologists several hours each week, they began the planning for Jack’s surgeries. Jack would be the first patient to ever undergo a surgery combining atresia repair and Medpor microtia reconstruction in the same surgery (referred to as a CAM procedure). Jack’s first surgery was performed on the right ear January 18, 2008. The nearly 10-hour procedure went very well. Dr. Roberson and Dr. Reinisch were very pleased with how everything had gone and by the end of the evening, Jack headed back to the hotel with his family. It took just two days until Jack was back to his fun, playful self. The preceding weeks would be filled with post op appointments, photo emails from home to ensure the healing process was coming along as it should and attempts at convincing a little three year old why he can’t run, jump or play rambunctiously while his ear was healing. Three weeks after surgery, Jack was back in preschool. The impact of Jack’s surgery on his ability to hear became evident very early in the recovery process. As documented in her blog, Sonja recalls being outside of the CEI office following a post op checkup nearly four week out from surgery. On her blog, www.missionlittlebrother.blogspot.com, Sonja shares other exciting moments such as when Jack was able to talk with her over the phone for the first time using his reconstructed ear and no bone conduction device and first hearing test after surgery that showed his hearing in the 20dB range. While by no means an easy or short road, not to mention three other kids to care for and full time jobs for Sonja and Chris in the mix, the they signed up for round two on Jack’s left ear, just four months from the original surgery. His second CAM surgery took place in May 2008. Jack’s right middle ear bones were not as well formed as the left had been but the surgery had gone smoothly and doctors were hoping for the best. Sonja describes the entire process as being less worrisome the second time around, now that they knew what to expect. For one to think that challenges associated with the hearing deficits experienced in children with atresia are eliminated with the surgical correction of atresia, this would certainly be a mistake. While hearing restoration is a significant, key factor in the treatment for atresia, a collaborative effort is needed in the following months and years. A team of doctors, audiologists, speech and language pathologists, developmental specialists, teachers and family members willing to commit to a child’s development and future are key factors for them achieving maximum outcomes. They certainly have had this. In Jack’s case, the years following the original CAM surgeries in 2008 have included speech, language and occupational therapies as part of the normal routine, revision surgery and time spent working closely with the insurance companies and the school district to maximize Jack’s experience at school. At the advice of a speech therapist early on, having Jack labeled “Hard of Hearing” allowed for him to receive special assistance from the district, such as an FM system in the classroom and continued speech and language therapy, though technically his scores were well above the range that would normally qualify a child for assistance. In recent years, Jack has been diagnosed with a pragmatic language delay and vestibular processing disorder, likely related to the first several years spent in the orphanage without stimulation. In granting attention to those areas in therapy and the incredible coordination between his family and teachers, they continually are able to maximize Jack’s learning environment. He continues speech and occupational therapy one time per week and receives hearing assistance with Ponto’s and an FM system while at school. A testament to Jack’s character and sweet spirit, his teacher this past year shared with the their family how she had learned a tremendous amount from Jack in being his teacher. It seems to be the general consensus by all who know this 8-year-old boy that he gives far more than he takes and touches everyone in a positive way. In the past several months, Jack asked his mom where the scars on his stomach had come from. Sonja told him that it was where the doctors had taken the skin to help make his ears. Jack thought that was the strangest thing he has ever heard! He has no memory of the surgeries or life before ears. Jack may never understand the great lengths that so many have gone to provide a future full of hope, love and hearing for him but there is an incredible story being written with his life, one that we have had the privilege to enter into, thanks to the unconditional love and dedication of a father and mother that chose to make Jack their son. Adoption, atresia and microtia all come with some very real challenges, but when you have the opportunity to see and hear a story like Jack’s, you can’t help but think that the struggles that come along the journey are completely worth it!